From The Elements of Wonder, a jewelry editorial. The pieces are superimposed on photos! 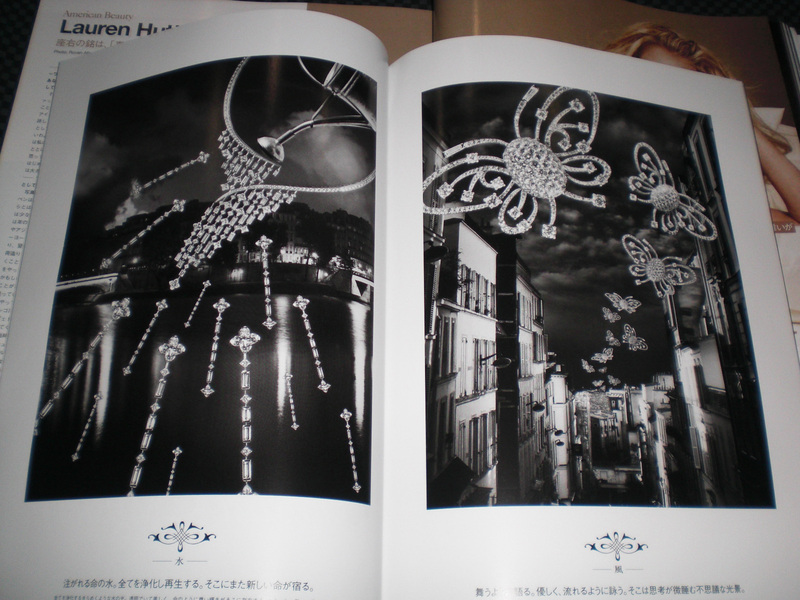 I finally got around to blogging about the January 2011 issue of Vogue Nippon. I’ve had it since November and I’ve been meaning to share some of my favorite parts but life happened so I forgot about it. The issue is about icons and everything about it. 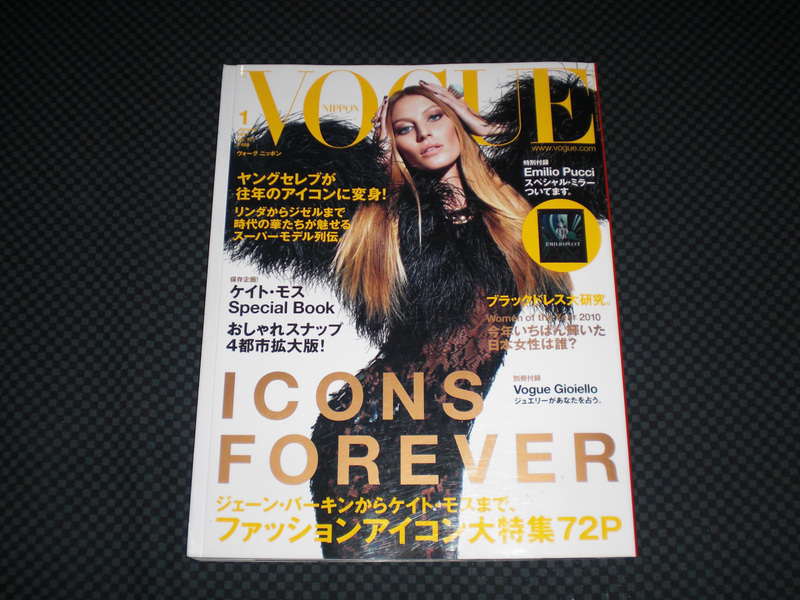 I think it’s appropriate that they chose Gisele to be on the cover, who personifies the fashion industry. Not everyone is its abject slave but even the most unfashionable person knows who Gisele is. 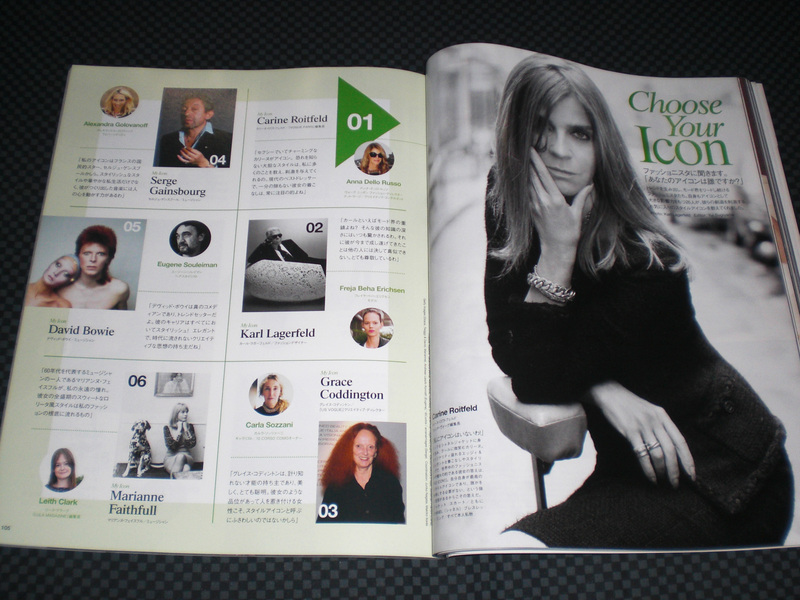 The content focuses on icons, both past and present, which makes the issue cohesive as compared to other issues of Vogue Nippon. 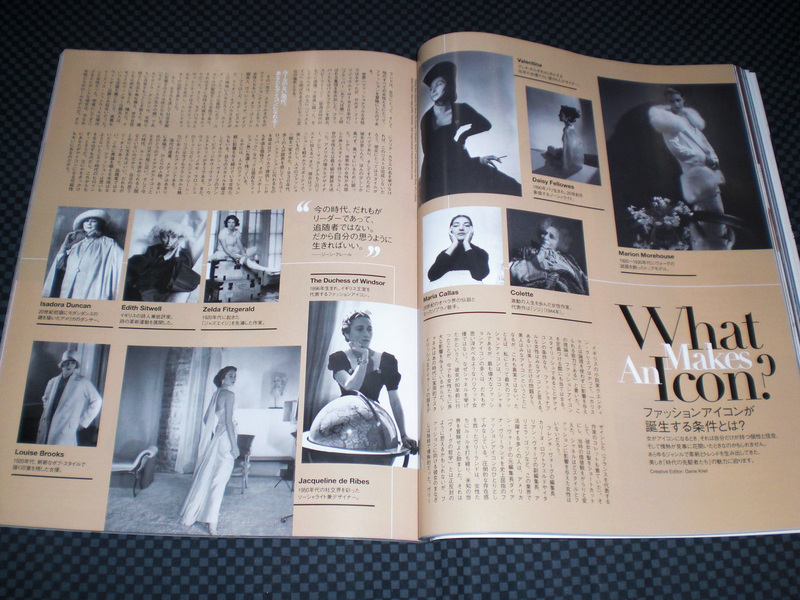 There are articles on what makes an icon, which I’m dying to read; the fashion icons of the past two decades; the icons of fashion insiders (no one chose Anna Wintour and Mitsuko Watanabe, the chief editor chose Rei Kawakubo); international icons from the US, Italy, and France; and how to dress like Audrey Hepburn, Grace Kelly, and Faye Dunaway. 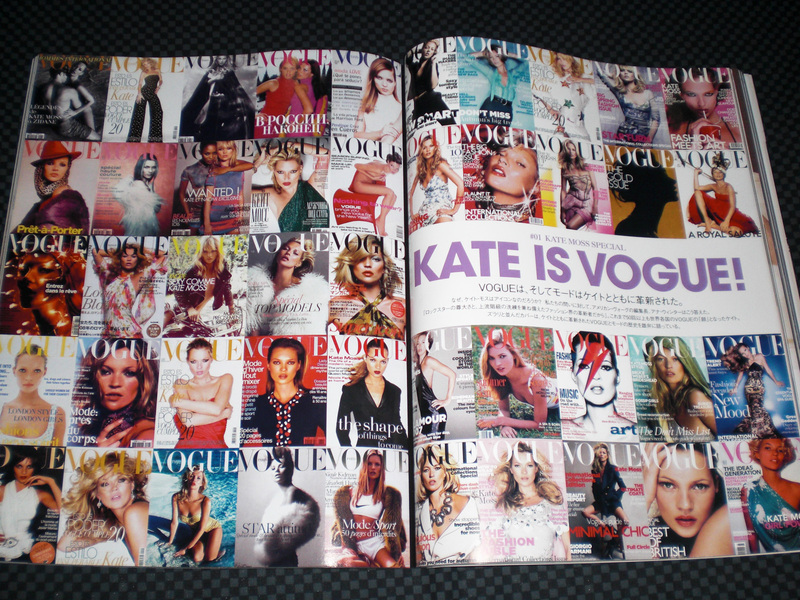 The staff of Vogue Nippon seems to have an unwavering loyalty to Kate Moss because she seems to be featured in every issue. This issue isn’t spared and there is an entire layout dedicated to her Vogue covers. I’m not going to lie, I love Kate so I enjoyed the special, which included her looks from the past 20 years and famous photos shot by the best photographers like Mario Testino, Patrick Demarchelier, Mert Alas and Marcus Piggott, Inez van Lamsweerde and Vinoodh Matadin, Terry Richardson, and Mario Sorrenti (who shot Gisele for the cover). I was disappointed with the editorials, mainly because Anna Dello Russo didn’t style anything, but I’m starting to like George Cortina, who styled Always Playing the Star. 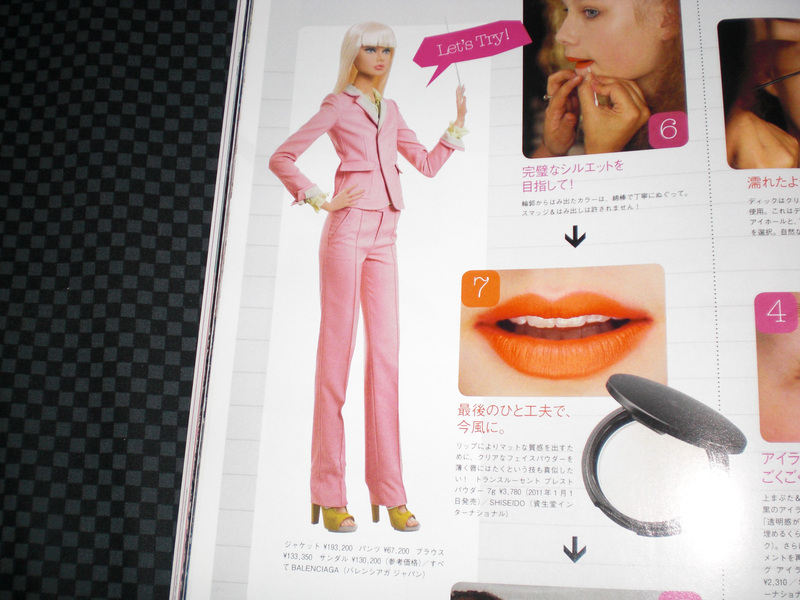 The contrast between the luxurious (and somewhat tacky) clothes had a nice contrast with the run-down background. Some of the other shots involved Edita Vikeviciute standing in what looked like a maintenance area, in rubble, and walking along the shore amidst people and boats and sand. There is of course that wonderful shot where she stands with the elderly women, who look so real as compared to Edita. The issue came with an Emilio Pucci mirror, which I broke when I was on my way home from Cubao X last Saturday. Sigh.